Ideal for many construction applications, the Spectra DG613G Pipe Laser features an ultra-bright green beam that optimizes groundwork and increases productivity. 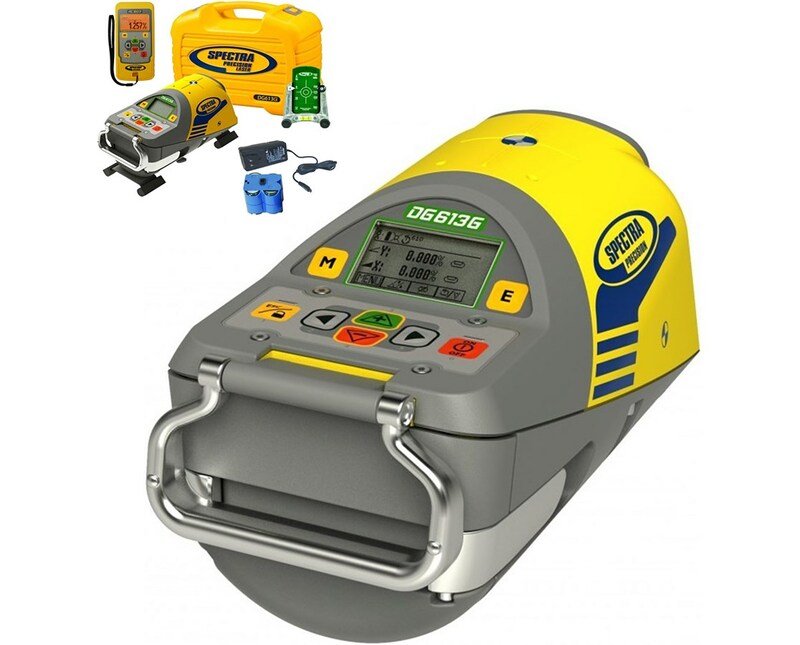 With a self-leveling grade range of -12% to 40%, this pipe laser also offers an operating range of up to 500 feet. Also, it offers a leveling accuracy of ±1/16 inch at 100 feet. Plus, it features a reduced length that allows hassle-free setup that works especially in tight inverts. 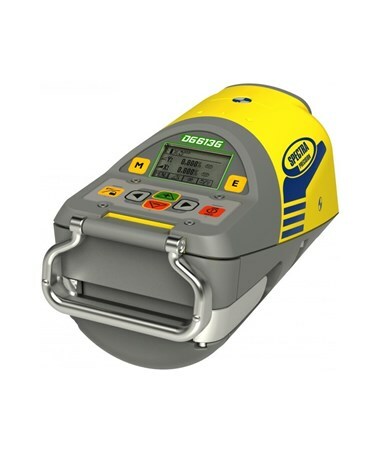 Like the DG613, this pipe laser also features the Line Scan, Line Alert and Line Set functions for an easier grading and alignment operation. It works with the RC803 remote control that expands range up to 430 feet using radio and up to 500 feet via infrared. 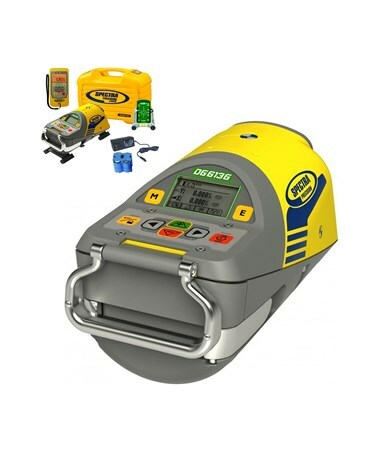 Reliable and accurate, the DG613G pipe laser is able to align the beam up to a 100 percent from the bottom to a manhole. Plus, it comes with a cross-axis compensation for additional control and quick set-up. 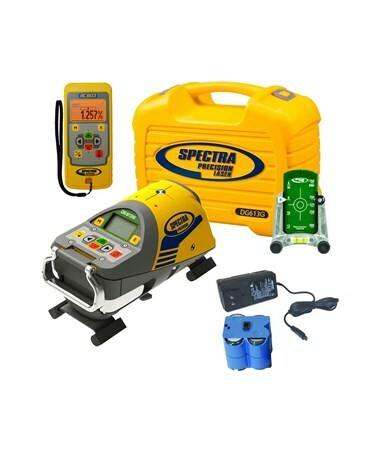 With an IP68 protection rating, the Spectra DG613G is protected from dust and is water immersible up to three feet. It features a large, bright and user-friendly graphical user interface for easy data reading. In addition, it is lightweight at only 6.61 pounds.